Ideal as a standalone supplement in any science course, The Scientific Endeavor creates a framework for students' future coursework in the sciences by discussing what science is and how it is done. 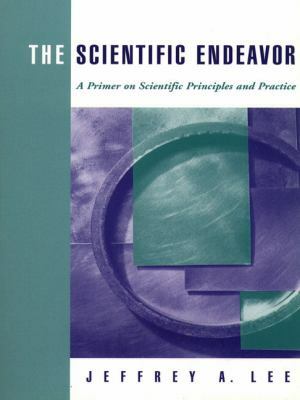 Presenting all of the major topics and basic underpinnings of science in a clear, simplified manner, the book provides a generic view that isn't tied to any specific discipline. Students develop "scientific literacy" that will help them better understand and appreciate their mainstream science courses.Lee, Jeffrey A. is the author of 'Scientific Endeavor A Primer on Scientific Principles and Practice', published 1999 under ISBN 9780805345964 and ISBN 0805345965. Loading marketplace prices 29 copies from $0.21 How does the rental process work?